Now a days I’ve grown to love a more natural shade of blonde and have trader the straightener for a curling iron and really try to limit the amount of heat I put on it. I’m very protective of my hair and have also learned to invest in quality products to put on it. Today I want to share my current favorite shampoos. I only wash my hair twice a week so each time I wash it I use one of these, but never the same one twice in a week. 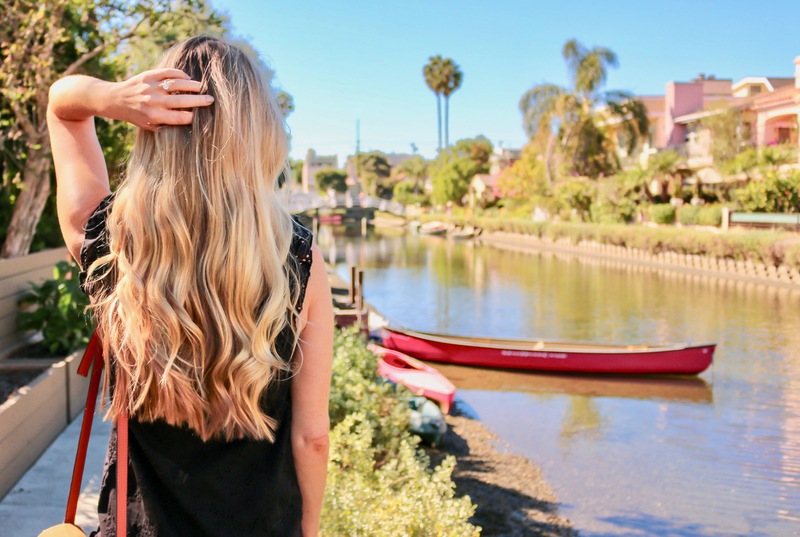 Aveda Invati shampoo and conditioner – After having a baby I went through the typical postpartum hair loss period. I was so frustrated each time I showered because I was losing so much hair. Around the holidays Aveda sent me these products and I’ve really noticed a big improvement with my re-growth. My baby hairs have gotten a lot longer and stronger. I’ve also been using this spray-on treatment between washes. Just a warning, it can make your hair look a little dirty so I try to do it on a day I wash my hair. 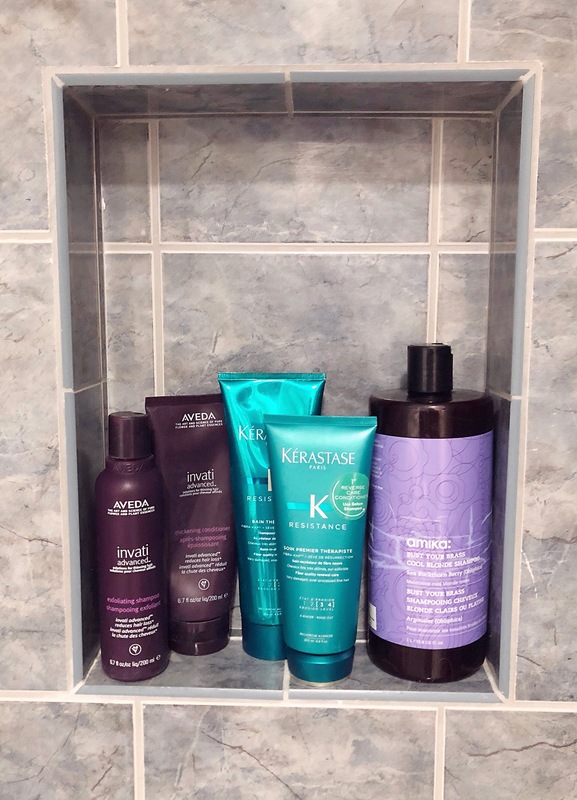 Kerastase Resistance shampoo and conditioner – I’ve been a huge Kerastase fan for years! I used to save up to splurge on it when I was fresh out of college. Naturally I was stoked when they sent me a box of goodies recently. This is not your typical shampoo/conditioner set because you condition first. It’s supposed to help protect your hair from damage and I’ve noticed mine is easier to comb out when I use these. Bonus, they smell sooo amazing. Amika purple shampoo and conditioner – Every blonde knows the way to keep your locks from looking brassy is a good purple shampoo. I’ve been using this once a week for the past year but what I really love is the conditioner. It’s the only purple conditioner I’ve used and now I can see how that’s just as important as purple shampoo.